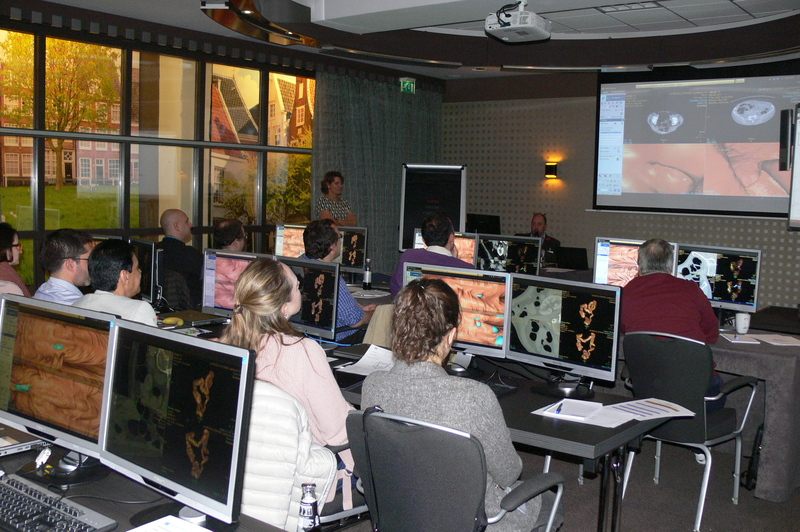 The 15th Virtual Colonoscopy course was again held in the Bilderberg Garden Hotel in Amsterdam. It was the third time that the course was done in this hotel. The course was fully booked with 24 participants from all over the world. We hosted people from South America, USA, Australia, South Africa, Saudi Arabia and from Europe. 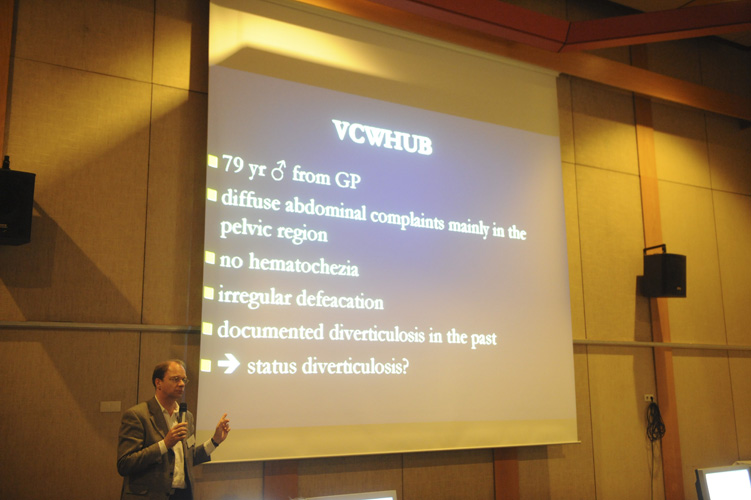 Lectures were presented alternating with case reading. A variety of cases was analyzed by the participants using dedicated image processing software, followed by a plenary case assessment by the faculty, based on full surgery and pathology reports. The informal atmosphere offered some good interactive discussions with the participants resulting in getting full consensus on how to read and report a CT colonography case. Extremely helpful faculty. The GE and surgeon correlation was nice. Good variety of speakers from different countries that know what they talk about. Good length of presentations, good variety of topics. Good amount of case reading, the more the better. Nice mix of scientific papers and practice. Again, we can look back on a successful course. Thank you all for your participation and hope you recommend this course to your colleagues.